If you're like me, then you know that using content upgrades to entice your readers to sign up for your email list is a fantastic strategy. But then there's the problem of how to actually set it up. You want people to sign up for your list in order to get the freebie. Enter Leadpages. 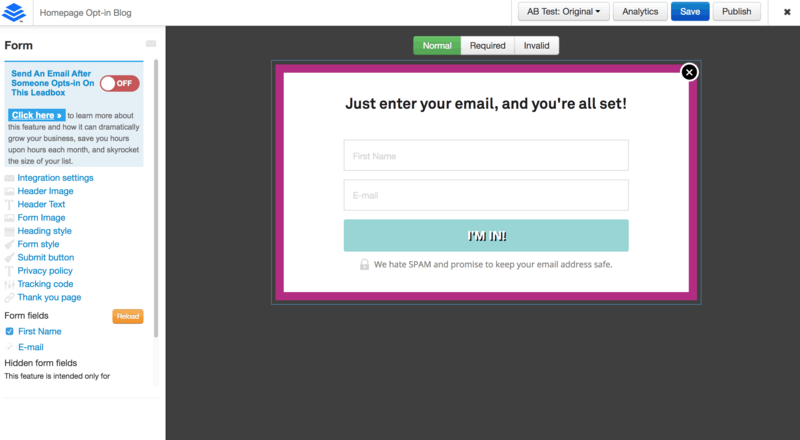 Leadpages allows you to get peoples' email addresses in exchange for a freebie. But it can be hard to figure out, so here's a guide on how to integrate Leadpages with your blog! *This post contains affiliate links, which means that if you click a link and make a purchase, I may receive a small commission at no extra cost to you. I appreciate the support! Before we get into the tech details, let's talk about content upgrades. 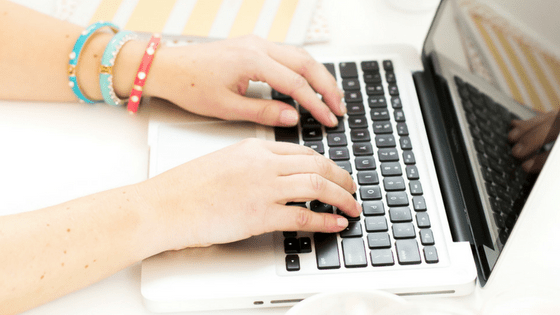 Growing your email list should be one of your top priorities as a blogger. Having an engaged email list is the best way to grow your tribe, and to sell your products. I'm sure you've seen a million blogs that just have a box that says something like “Subscribe to my newsletter.” These do not generally convert well. People get a zillion emails a day, so you need to give them a reason to sign up for yours. The best way to do that is to give them something in exchange for their email address. That's a content upgrade. A content upgrade can be pretty much anything that you can email out. A PDF, a template, a video. I generally use things like checklist or resource guides because that's what suits my niche, but feel free to get creative! I can attribute a big chunk of my list growth to content upgrades, and I highly recommend utilizing them. 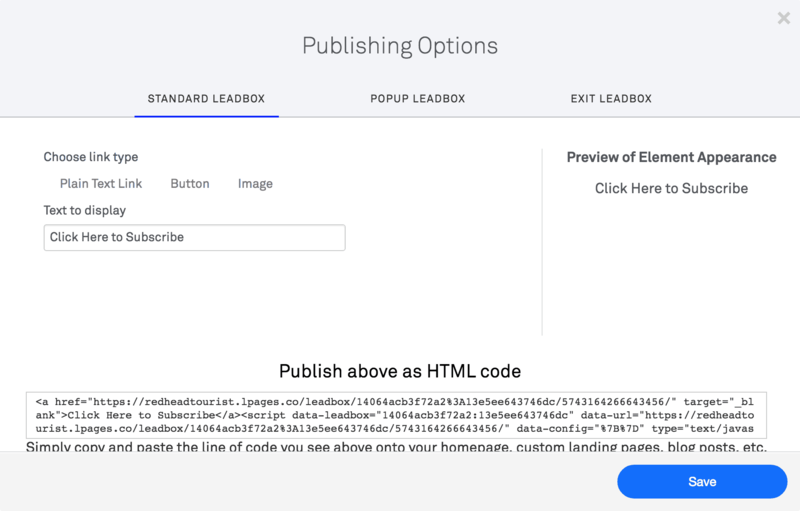 Leadboxes are a product of Leadpages. (Leadpages also offers great landing pages, but that's a topic for another day). Leadboxes are pop-up boxes that can act as regular pop-ups, or can be triggered by the press of a button. We're going to talk about that button. The first step, of course, is to create your Leadbox. *It's important to note that the method I'm going to talk about here only works with the older or “standard” Leadboxes. It does not work with the new drag and drop Leadpages. So make sure you're using the right one. 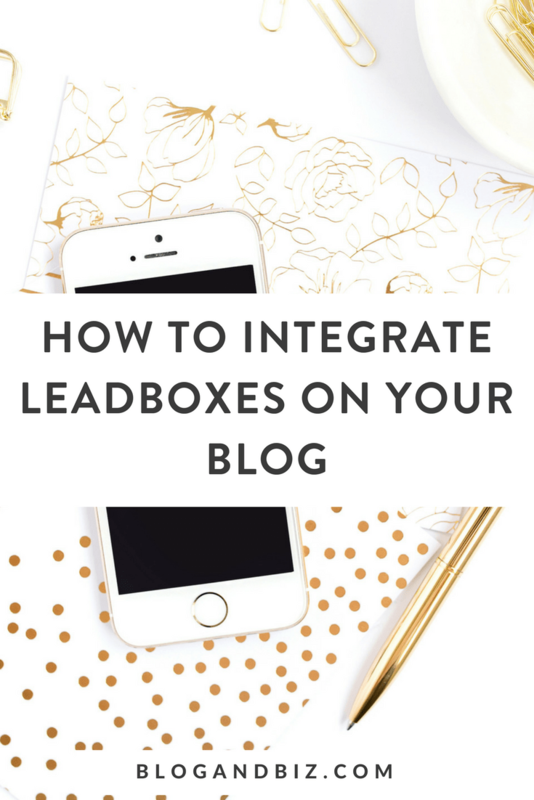 You'll also need to integrate your Leadbox with whatever email service provider you use. Most of them integrate seamlessly. I use and love ConvertKit, but you may have another one. Once everything is set up and integrate, it's time to publish your Leadbox. You have several options here. You can publish it as a timed pop-up or an exit pop-up, or you can have it come at the click of a button. We're going to talk about the button option. I personally don't like the look of those buttons, so I use another method. I create a content upgrade image, and then I link it to the Leadbox. So let's talk about that. If you want to give Leadpages a whirl, here's a link for a 14 day free trial. Enjoy! If you don't want to use the built in Leadboxes button, you have two more options. You can create your own button using whatever theme you have and link it to the Leadbox, or you can create a content upgrade graphic and link it to the Leadbox. 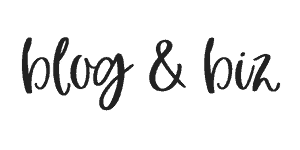 If you have a theme like Divi (which I use and love), it's easy to add buttons that you can then link to the Leadbox. When you click on this graphic, a Leadbox will pop up. So someone just enters their email, and ConvertKit will send them this guide that I'm promoting. So how do you get the link? Now go into the “Publish above as HTML code” section, and copy the link that starts with https://. It'll be on the top line and in quotation marks. Mine above is the one that starts “https://redheadtourist.lpages.co…”. Copy that entire link, and that's the link that you use to link your Leadbox up. Not too hard, right? Now that you've got your Leadboxes set up and linked, there's one more step. If you follow the steps I've already laid out, everything will work, but the Leadbox will open on a new page with an ugly gray background. Not the end of the world, but it would be nicer if it would just pop-up on the same page right where you clicked (click me content upgrade image above to see what I mean). You can do this by copying some code into the header of your website. In that same box where you got your link, go in and copy the section that starts with <script> and ends with </script>. Don't copy anything else. You need to copy this code into the header of your website. If you don't know how to do this, I suggest the WP Insert Header plugin, which is free, and very easy to use. That's it, you're done! Now you can promote your content upgrades and get email addresses in return. If you're not on Leadpage yet, sign up for a free trial with this link! Let me know in the comments how it goes!